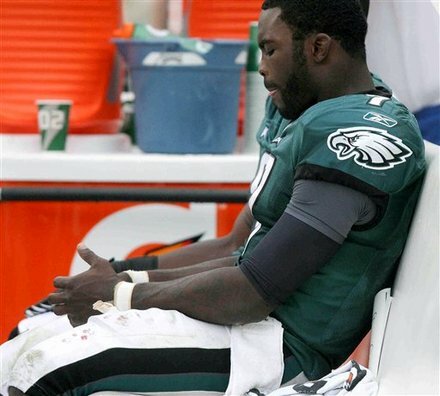 Eagles superstar quarterback Michael Vick will miss three-to-four weeks with a broken right hand, Howard Eskin of NBC Philadelphia reports. 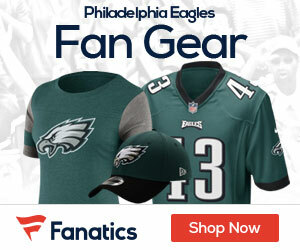 Vick was hurt in the third quarter of Sunday’s 29-16 fall to the Giants. Vick went to the locker room for X-rays, but returned to the field before handing the keys of the offense over to backup quarterback Mike Kafka. 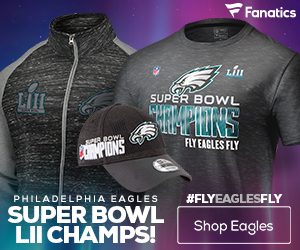 If Eskin’s reporting is precise, that would likely sideline Vick for next week’s home contest against the 49ers and back-to-back road battles against the undefeated Bills and rival Redskins. The Eagles have a bye in Week 7. With the Eagles at 1-2, if Vick is off the field, Vince Young, who was active against the Giants, could get the starting nod in Week 4 over Kafka. After throwing for 7-of-9 passes on 72 yards and nearly completing a comeback in last Sunday night’s loss to the Falcons, Kafka disappointed on Sunday, completing 4-of-7 passes for 35 yards with a pair of picks. Head coach Andy Reid is expected to update Vick’s injury situation later this morning.